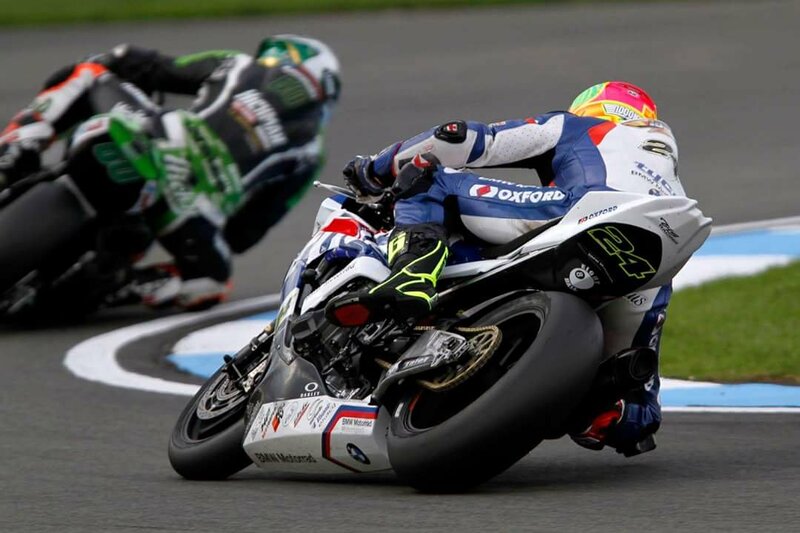 Motogear | Donington BSB: More promising results (and points) for our sponsored riders! It was a turbulent weekend for Jason O’Halloran during the Donington round of BSB; in race one, Ixon’s sponsored racer took off to a positive start and finished in his usual successful style; obtaining a 3rd place podium. At the start of Race 2, it seemed as though O’Halloran was determined to achieve another victory, but sadly, O’Halloran fell wide and crashed (whilst tackling the Old Hairpin) as the pack closed in around him. This disruption caused him to retire from the race. O’Halloran admits the setback was ‘disapointing’ and that it ‘put a dent into (his) overall points’ but he maintains a fighting spirit for the next round; ‘I am ready to work hard and try and make that back up, ideally we need to stand on the podium in both races and I am really motivated to get started.”- Jason O’Halloran. Five’s sponsored racers seemed to have experienced a surplus of good fortune in race 2; Five & Gaerne’s sponsored racer Christian Iddon, reached a 3rd place position therefore gaining another podium in the BSB championship, shortly following behind (4th) was Five’s sponsored rider, Peter Hickman, who eagerly fought tough throughout both races. Also, Five’s Billy McConnell came in the top 10 (8th)- well done guys! Evidently all of our sponsored riders tackled Donington BSB with a fighting spirit, which we believe is the most important attitude to uphold. Therefore, we are hopeful to see what the next round at the Assen TT will bring for our riders this October.